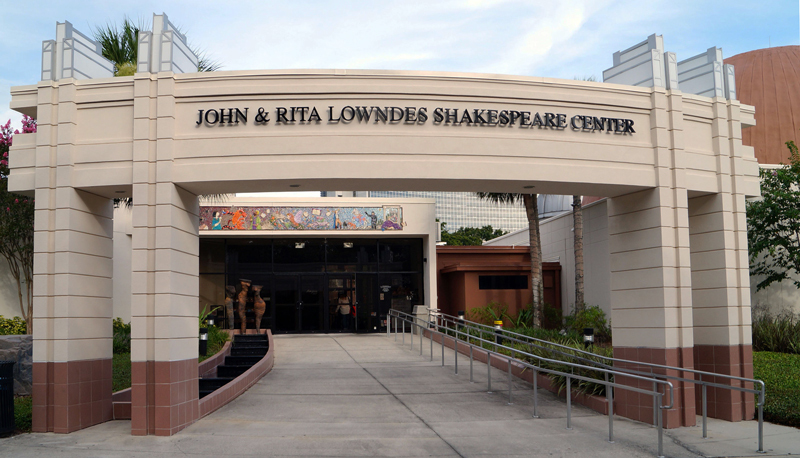 Orlando Shakespeare Theater in Partnership with UCF is a professional, non-profit regional theater dedicated to producing Shakespeare, as well as classic, contemporary plays, and children’s plays. We believe in bold, professional theater that encourages the actor/audience relationship, embraces the passionate use of language, and ignites the imagination. Orlando Shakes also develops World Premiere productions and fosters innovative educational programs that serve the community. We value professionalism, creativity, fiscal responsibility, positive audience experience, accessibility, and community enrichment. Now in our 26th Season, Orlando Shakes has an annual operating budget of approximately $2.6 million. We employ professional Actor’s Equity Association (AEA) actors and designers from New York, Orlando, and around the country, putting on 354 individual performances of plays per season. Our season boasts the seven-show Signature Series, the three-show Children’s Series, and PlayFest, a festival of readings and exclusive panels. In the summer, we host educational camps and The Young Company, a group of talented high school students who perform works of Shakespeare. View all events in "Orlando Shakes"